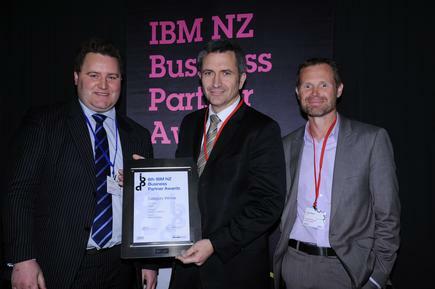 CDP Group was the Smarter Analytics category winner in the sixth IBM business partner awards. The partner won for a project that helped client Firth Industries reduce its carbon footprint. Firth Industries, a division of Fletcher, with assistance from CDP, implemented an IBM Cognos Business Intelligence application to make operational improvements, changing organisational behaviour and reducing energy and carbon emissions. Firth prior to this project was capturing energy consumption data from their various sites and preparing spreadsheets manually on a monthly basis. They wanted to be able to drill down into that data and, ultimately, prepare reports that quantified CO2 emissions per unit of production. The project helped Firth reduce CO2 emissions by 5 percent. The company has a more in-depth understanding of consumption patterns and is in a better position to manage energy usage since implementation. Firth has also been able to realise savings by improving efficiencies. CDP was recognised for this project at an awards event on October 18 in Auckland, hosted in association with Reseller News.